In the late 1980s, Dr. Raphael Mechoulam and his colleagues in Israel determined THC binds to receptors in the brain marking the discovery of the Endocannabinoid System (ECS). They soon learned these receptors spread throughout the body and that we naturally produce endocannabinoids, the counterpart that binds to these receptors. This unique and complex communication system has the immense task of biochemically triggering the body’s physiological responses to keep us internally balanced, or at homeostasis. 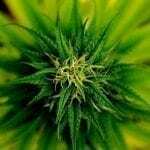 CB1 and CB2 are the best known among the various cannabinoid receptors, but there are still others being identified as different via research. What is a receptor? A receptor is a protein in your cells that receives a signal from outside the cell (in this case, THC). Those signals initiate your body to behave or react in a precise way. All your cells have countless receptors but each type of receptor is unique and will only pair up (or bind) to specific molecules. Think of the receptors as locks where the THC is the key that fits perfectly inside. THC molecules bind most commonly to CB1 receptors and are concentrated in the central nervous system and head region, creating the common psychoactive effects. CB2 receptors are generally located in the stomach, immune system, extremities, and even the skin. CBD doesn’t bind very well to either CB1 or CB2 receptors but studies indicate CBD rides along with THC across these receptors. 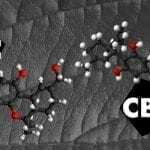 This is why CBD purchased over the internet contains very little, if any, other cannabinoids and are not nearly as effective. THC is the Uber ride for CBD into your cells. Cannabis-derived cannabinoids, or phytocannabinoids, bind or modulate these receptors as well and can stimulate the body to naturally generate more endocannabinoids. As we learn more about the significance of the ECS, we understand that cannabinoids help the body communicate with itself and regulate biochemistry in the body. If this isn’t amazing enough, everyone’s ECS is different! Genetic variation is suspected to have an influence on the concentration and locations of the endocannabinoid receptors. It may take a bit of experimentation with the different cannabinoids, delivery methods, and doses, to figure out which are the optimal methods for the results you enjoy. Whether it’s vaping, consuming edibles, or sublingual delivery, finding your best experience will help you gain a greater appreciation for how the ECS works in your body.